It should be clear by now to everyone that FOX News and Roger Ailes hate Donald Trump. The Beltway pundits and GOP elites go on the channel day after day and bash the GOP front-runner. If you turn on the channel for more than 15 minutes FOX will air at least one Trump-bashing segment. 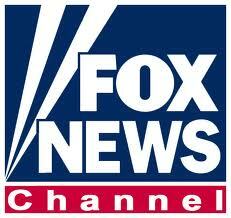 FOX News was once considered the “conservative” cable news channel. But that was a farce. FOX News is a channel consumed with Trump hatred. It frequently will hold a discussion segment with two Trump haters, a Democrat and a Republican insider, who both bash Trump. “Fair and Balanced” is a joke. We get it, FOX. You hate Donald Trump and you detest his supporters. Thanks for showing your true self.